Finding a reputable car dealership to purchase your next car from can be a hassle, but taking the time to do your due diligence can save you from a major headache down the road. Finding a dealership with a great selection of used cars for sale can be even harder than finding a reliable new car dealer, but not to worry – the experts here at Chevrolet of Naperville have you covered. Whether you are looking to purchase a newer Certified Pre-Owned Chevrolet Sonic, or an older used car from another manufacturer, Chevrolet of Naperville has you covered. 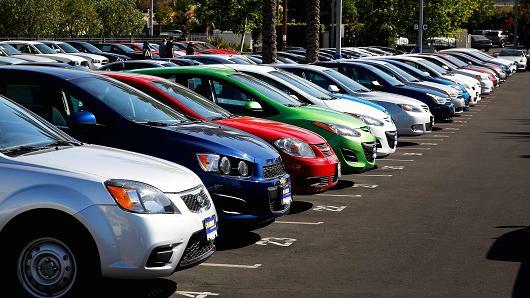 With more than one hundred used vehicles to choose from at all times, Chevrolet of Naperville has one of the most comprehensive selections of used cars in the western suburbs of Chicago. The vast selection of used cars isn’t the only thing that is versatile about Chevrolet of Naperville’s inventory. Our pre-owned vehicle options range in price from under $5,000, to over $50,000. Not only does that mean you will get a great deal on an exceptional used car, but that you will be free to choose a vehicle that fits perfectly within your budget. Chevrolet of Naperville is proud to call Naperville, Illinois our home. Conveniently situated just minutes off of I-88 and blocks from route 59, Chevrolet of Naperville is centrally located in the western suburbs of Chicago. While other area dealerships are painstakingly hard to find, Chevrolet of Naperville offers accessible shopping for used vehicles just minutes from the historic downtown riverwalk. Thanks to our stellar reputation for customer service and high quality used vehicles, Chevrolet of Naperville has been honored to help car shoppers from all over the greater Chicagoland area with all of their used vehicle needs. If you are coming from far away to get a great deal on a used car from a great dealership, you will be able to take advantage of all that our location has to offer. Exceptional shopping from name brands can be found within minutes from our showroom, off of I-88 and Farnsworth in Aurora at Chicago Premium Outlets. If you prefer to shop locally, downtown Naperville is less than two miles away from Chevrolet of Naperville, and features award winning restaurants, shops, and walking paths around the scenic Fox River. The perfect way to conclude a day of car buying at Chevrolet of Naperville, and a favorite pastime of many of our past and present customers. For used car shoppers coming to us from downtown Chicago, our easy-to-access showroom off of Ogden Avenue is less than forty miles from the Loop. Whether you are coming out to Naperville over the weekend, or prefer to buy your used car during the week, you will find that Chevrolet of Naperville is a hop, skip, and a jump away. Not only is our physical location convenient, but our suburban dealership is a breath of fresh air compared to city car lots that utilize high-pressure tactics just to get your business. Skip all of that, and escape the hustle and bustle of city life by spending the day in beautiful Naperville, Illinois, at Chevrolet of Naperville. Here at Chevrolet of Naperville, we stand behind the quality of every used vehicle we sell. Regardless of whether it wears a bowtie emblem or not, we strive to feature an inventory of only the highest quality used vehicles around. While a good number of our pre-owned cars, trucks, and SUVs feature a past history of just one owner, all of our used vehicles come with a detailed CarFax history report for an added level of buying confidence. While other dealerships may try and sell you recalled vehicles or cars with known issues, we won’t sell a vehicle that we wouldn’t buy for ourselves, or for our family. You can rest assured knowing that when you buy a used car at Chevrolet of Naperville, you are also buying complete and total peace of mind. Not many used car dealers can make that claim, but here at Chevrolet of Naperville, we are proud to say that we can. Chevrolet of Naperville has earned the highest Consumer Satisfaction Award from DealerRater not once, but twice. Our past and presents customers are so satisfied with their experiences at Chevrolet of Naperville, that 100% of them would recommend us to their close friends and family members. With nearly 900 reviews from actual customers posted to DealerRater.com, we are proud to say that we have earned 4.9 out of 5 possible stars, and the lifelong support of many loyal car shoppers. At Chevrolet of Naperville, we believe that the truest measure of a dealership is not determined by what representatives from the location have to say, but rather by what actual customers have to say. From the small sampling above out of the hundreds of online reviews, you can easily see why area residents are so satisfied with their experiences here at Chevrolet of Naperville. So many local car dealerships thrive because of the community in which they do business, but don’t make an effort to give back to the same neighborhood that has helped them achieve success. 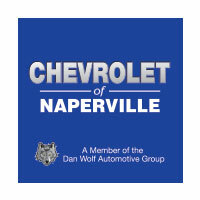 As a part of the Dan Wolf Automotive Group, Chevrolet of Naperville is committed to the community of Naperville, Illinois, and so we do a lot to give back to the families who also call this wonderful suburb of Chicago their home. The very heart of our community involvement at Chevrolet of Naperville is through the Turning Pointe Autism Foundation. Founded by members of the Wolf Automotive Group Family, Turning Pointe Autism Foundation provides local families with support for managing the challenges of raising a child with autism. With a CN Day School and a Turning Pointe Career College located down the street from Chevrolet of Naperville, we are proud to be affiliated with this outstanding community organization, and give back to the families who rely on it most. The next time you find yourself in the market for a used car dealership that you know you can trust, come down to see us at Chevrolet of Naperville. With an outstanding customer care reputation, and a large inventory of high quality cars, trucks, and SUVs from various automotive manufacturers, why would you go anywhere else? Whether you are ready to purchase a quality used vehicle today, or are simply researching your new home’s local car dealership, stop in during regular business hours and get to know our outstanding team. You can visit us at 1515 W. Ogden Avenue in Naperville, IL, Monday through Friday from 9AM until 9PM, or on Saturdays from 9AM until 6PM. Come in and experience first hand the true used car buying difference, available only at Chevrolet of Naperville.